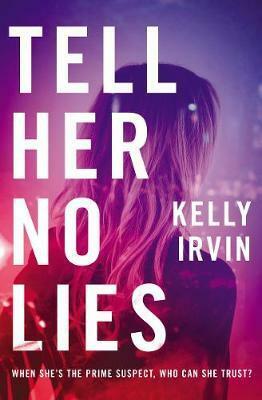 Combining romance and suspense, bestselling author Kelly Irvin's Tell Her No Lies is a high-stakes race for the truth. Nina Fischer carries a camera wherever she goes-so she can view life through a filter. Safely. After her mother abandoned her to the streets, Nina has kept people at a distance, including her uncle, who adopted Nina and her sister. Wealthy and proud, he is a good man, a fair judge, and someone many in San Antonio admire. But when he is murdered, and the detective assigned to the case accuses Nina of the crime, she knows she must act. She's determined to use her journalism background to find the real killer. The two men in her life want to help, but can she trust them? She's known Rick since they were children, but now he's an attorney whose political aspirations seem more important than Nina's tragic loss. And then there's Aaron, a news videographer; using their friendship could break the biggest story of his career. Following the evidence leads Nina on a journey of discovery into her father's shocking masquerade as a law-abiding, family-loving Christian. Unlocking these secrets could prove fatal, but it's the only way Nina will ever be able to trust love again. Kelly Irvin is the bestselling author of the Every Amish Season and Amish of Bee County series. The Beekeeper's Son received a starred review from Publishers Weekly, who called it a "beautifully woven masterpiece." The two-time Carol Award finalist is a former newspaper reporter and retired public relations professional. Kelly lives in Texas with her husband, photographer Tim Irvin. They have two children, three grandchildren, and two cats. In her spare time, she likes to read books by her favorite authors. Visit her online at KellyIrvin.com; Instagram: kelly_irvin; Facebook: Kelly.Irvin.Author; Twitter: @Kelly_S_Irvin.